When in the potty training mode, parents will do almost anything and everything to get their little ones to do the job at hand. Rewards are a great way to acknowledge accomplishments along the way and to celebrate a job well done. These don’t need to be big or expensive. It could be toys from the dollar store, stickers, or even something less tangible like a high-five. 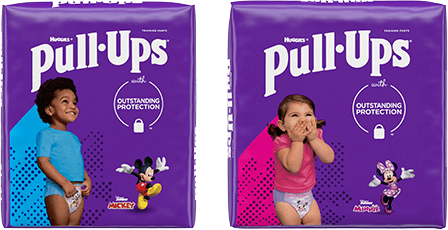 Even the simple things can be all that’s needed to get your child to the potty when necessary and to leave diapers behind for good. Praise: Puppies thrive on positive feedback, so make sure you are encouraging him by noticing his efforts in a positive way. Remember, your Puppy wants to please you, so let him know that he does! However, parents of Turtle personalities should know that these children feel pressured when we lay on the praise too heavy. So if your little one is a Turtle, keep your comments short, sweet and specific to their achievements – no matter how small they may be. Stickers: Reward potty training successes with a sticker your child can wear proudly on her shirt to show the world. Hang the chart on the wall in the bathroom at your child’s eye level and let them pick a small sticker to put on the chart every time they’re successful on the potty. Progress charts: Set up a system with lots of little trinkets to track your child’s potty progress along the way. Owls keep track of their progress and expect you to as well. They enjoy marking their progress along the way. Something special: How about a designated book, stuffed animal or puppet that’s only allowed to be read or played with when your child’s on the potty? If it’s something your child looks forward to, it may work as a great incentive to head there often. Celebration: Consider skipping the treats altogether and have a singing, dancing parade every time your child successfully uses the potty. Kids love to celebrate their potty successes with loved ones, so you could also let them share the news in a phone call or video chat with other family members. This may be especially fun for your more social and active personalities, like Bear Cubs and Squirrels. Celebratory certificates: As your child makes potty progress, reward her with a congratulatory certificate with some of her favorite Disney characters on this Potty Training Certificate. Something else to consider when choosing the right incentives for your child is that toddlers don’t have a solid sense of time yet. So when you’re choosing your reward, just remember that smaller items like stickers and trinkets are most effective when used as an immediate positive reinforcement rather than a goal to save up for later. Another great tip is to change it up if the reward stops working as an incentive. Try offering your little one a different sheet of stickers, or a new celebration method to keep them motivated.